So, this was working before. But.. much of this depends upon the gif. Flat gif files customarily have 1 layer for each frame of the animation. When you convert that frame animation to a timeline animation, the timeline shows all the layers then adjusts the opacity or visibility of a particular layer at a particular time. 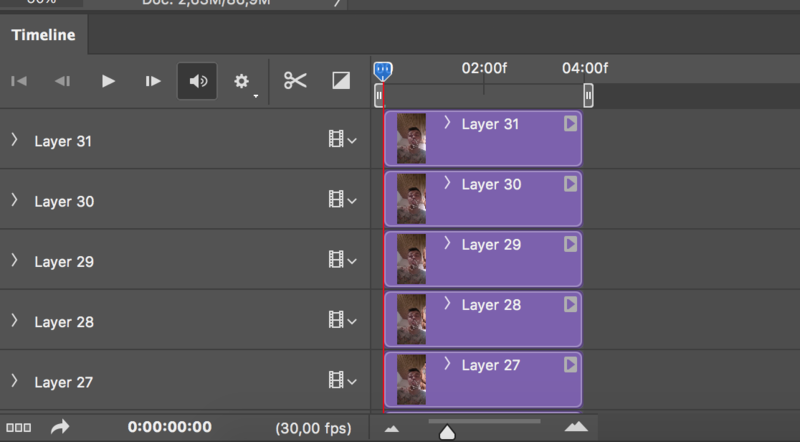 If you were to expand the view of the timeline layers you would most likely see opacity key frames for each layer to indicate when that layer is visible. The only time a frame animation does not have a single layer for each frame is if you are working on a .psd file and not a .gif file. If you set up a frame animation and then save it as a .psd. The animation is not flattened. So, I would suspect the difference you are seeing is due to opening a gif file or a psd file. There's nothing in your question which would indicate things are working abnormally.